It’s a popular request for wedding attire; so-many of the women I hear from want mother of the bride dresses with jackets! Dresses with jackets are a great option for mothers of the bride during transitional weather seasons like spring and fall. They are also a smart choice if you’re not sure if you want a little bit of a sleeve. Here is our shopping guide of some of the best Mother of the Bride Dresses with Jackets we’ve found this season. Dress for the Wedding is a shoppable site. Links, images and shopping sources on this site use affiliate links, which means this site may earn a commission if you make a purchase from our links. 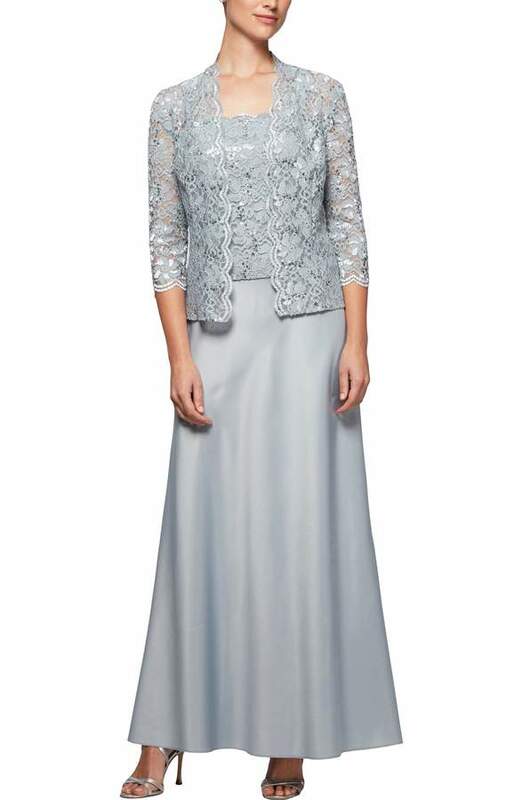 A mother of the bride dress with a jacket is a really good choice for a variety of wedding scenarios. If you want a little coverage for your arms, jackets or boleros are wonderful! If you are worried that the weather might be a little iffy or chilly and you’d like to dress in layers, a jacket is the perfect solution! The other wonderful thing about choosing a mother of the bride dress with a jacket, is that you then have a jacket to wear with other outfits. It also gives the dress with a different without the jacket that you may choose to wear again to another event. There are a few different styles of jackets; drapey lace and chiffon styles, or more tailored suit style jackets, or short cropped shrugs and bolero jackets. There are also some styles with capelet overlays. The choices and silhouettes for this style lovely! 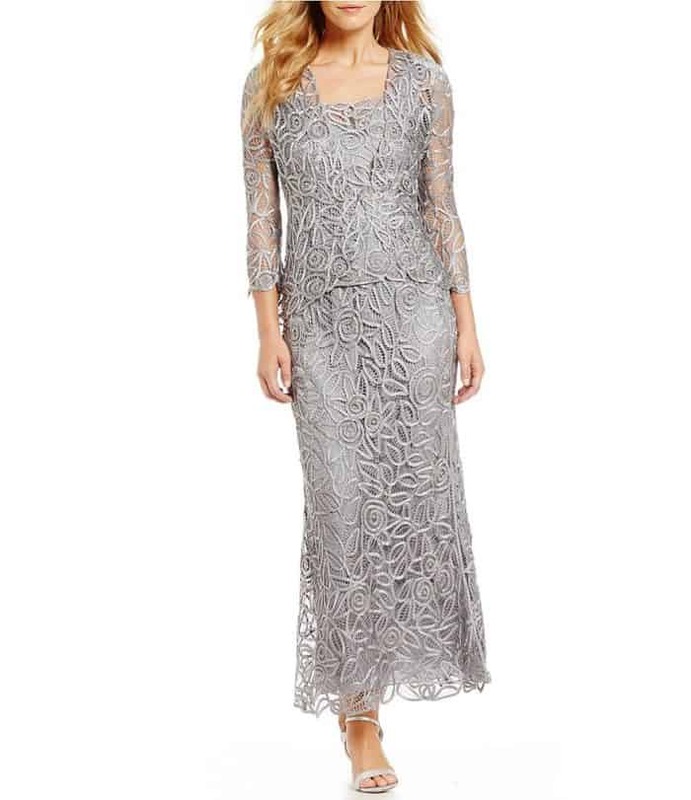 Many mother of the bride dresses come in a range of sizes from and small and petite to plus and curvy! 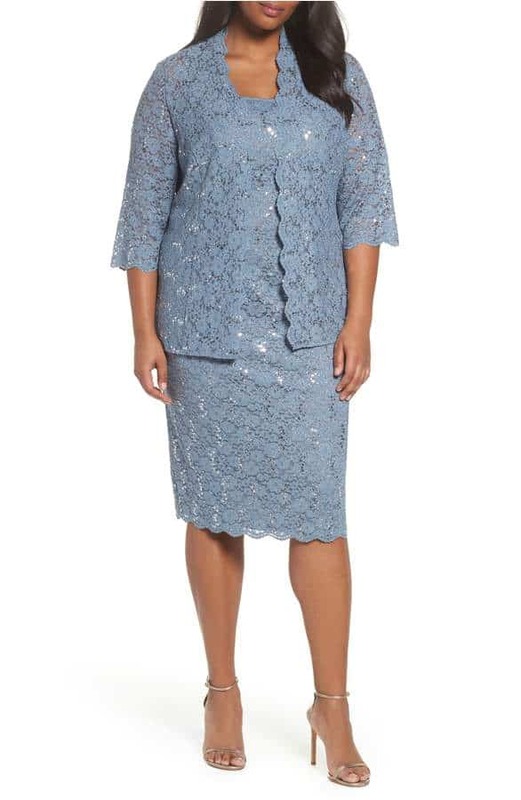 Here are a few pretty plus size mother of the bride dresses with jackets. 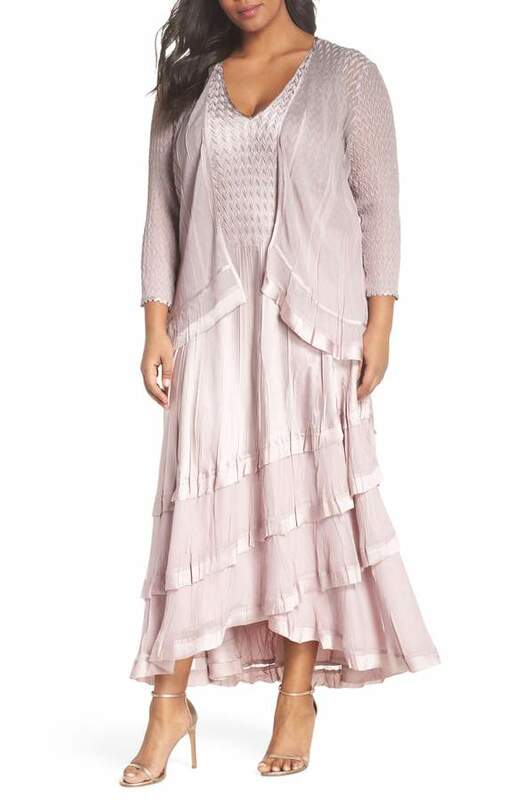 Also take a look at our other selections for plus size mother of the bride dresses. It’s not just dresses! If you prefer a pantsuit or other separates, it’s also easy to find a mother of the bride outfit that comes with a jacket. Here are a few more dresses with the two-piece style we love! If you didn’t find quite the dress here are a few other brands, labels and shops that have dresses with jackets for the mother of the bride.